Artist Helen Marshall of the People’s Picture was commissioned by Canary Wharf Group to create ‘The Faces of Canary Wharf’. 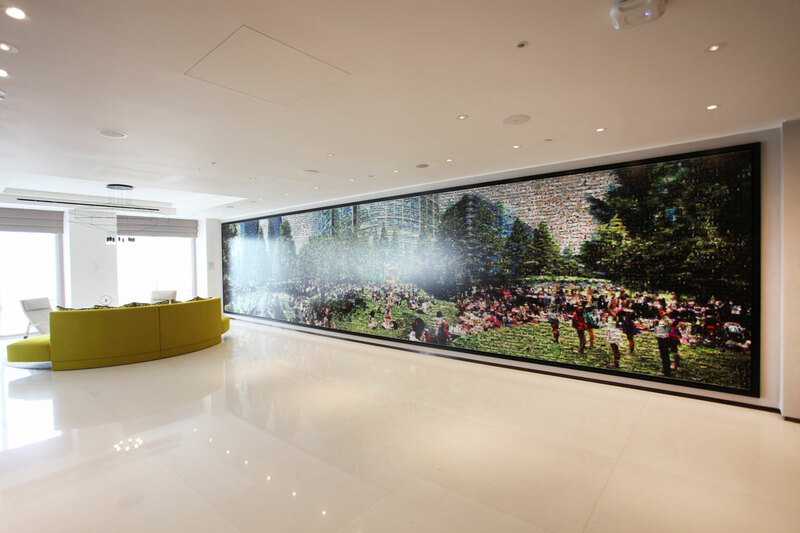 Comprised of up to 15,000 individual photographs, and over 10 metres long, it reveals a striking panorama of Jubilee Park. 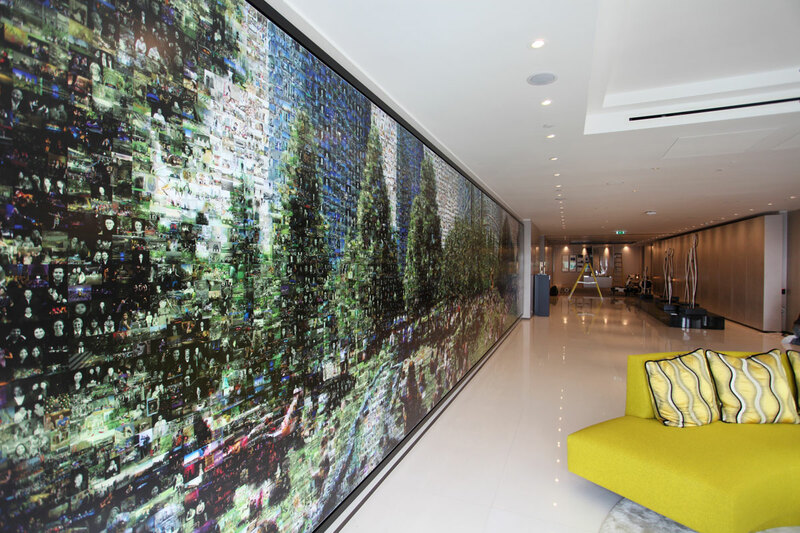 Original photographs from the extensive Canary Wharf archive have also been included in the mosaic, as well as portraits of members of the public that were captured during on-site visits by the artist and her team during Autumn 2015. 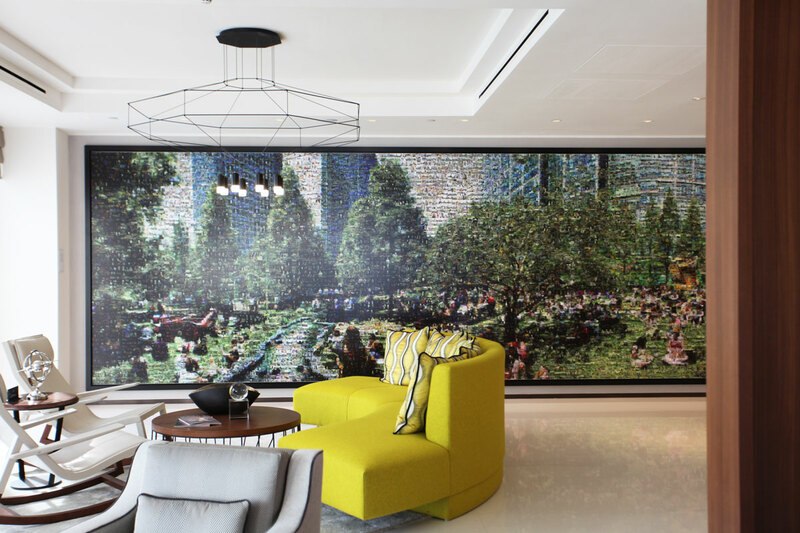 This work of art shows the historic development of Canary Wharf, with a special focus on people, arts and events.